Green Consulting offers mobile notary services in Lake County and southern Mendocino County. The standard fee is $15 per notarized signature, plus mobile notary mileage fees as shown below. Before you book an appointment: Mobile notary mileage fees apply even if no notarial act is performed. It is the customer’s responsibility to provide complete documents, to show valid ID, and to know what notarial act is required. Please use the contact form for any questions. Other addresses – Call for rate. Redwood Valley – Call for rate. Ukiah – Call for rate. Willits – Call for rate. Cash: No large bills, please. Check/money order: Payable to Green Consulting. Credit/debit card: Pay on-site with Square or PayPal. Invoices: Pay by Square or PayPal invoice. 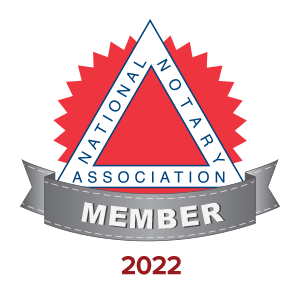 Note: Some lesser-used notarial acts have different fees and/or ID requirements. Use the contact page for questions or to request an appointment.